Do you know your representatives in the Vermont legislature? 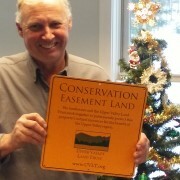 Can you count on them to support funding for land conservation this year in spite of the deep cuts proposed by Governor Douglas? To help you answer these questions the Vermont Housing and Conservation Coalition is sponsoring it’s annual “Legislative Day” at the Statehouse in Montpelier on Wednesday, February 24th. This is your best chance to get across a personal message to your representatives about why conservation is important to you and your community. 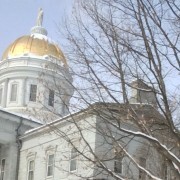 Become part of the legislative process by attending legislative committee meetings and hearing from leaders of both the Vermont House and Senate. 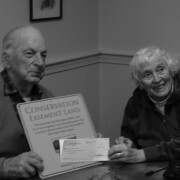 Rally with a diverse array of supporters and beneficiaries of the Vermont Housing and Conservation Board (VHCB) and see how critical the State’s investment in conservation and housing has become and how they should remain a priority through the challenges of the State’s fiscal crisis. This year the Governor has proposed slashing VHCB’s budget by 50% from last year’s funding level, which would potentially result in millions of federal farmland conservation dollars being returned to Washington because no state matching funds are available to draw them down into the Vermont economy. We will be asking the legislature to provide VHCB with at least 11.1 million for FY 2011, a 4.6% reduction from the level warranted by the statutory funding formula. The emphasis will be on showing legislators that investments in housing and conservation are important to economic development and represent long term capital investment for the State. We will be organizing a carpool of volunteers to arrive at the Statehouse at 8:00am on the 24th and coordinating attendance at a variety of committee meetings. Please contact Nora (noradoyle-burr@uvlt.org), by next Tuesday, February 23, if you are willing to contact your representatives and perhaps arrange for a breakfast meeting with them to show your involvement with VHCB and ask for their support.